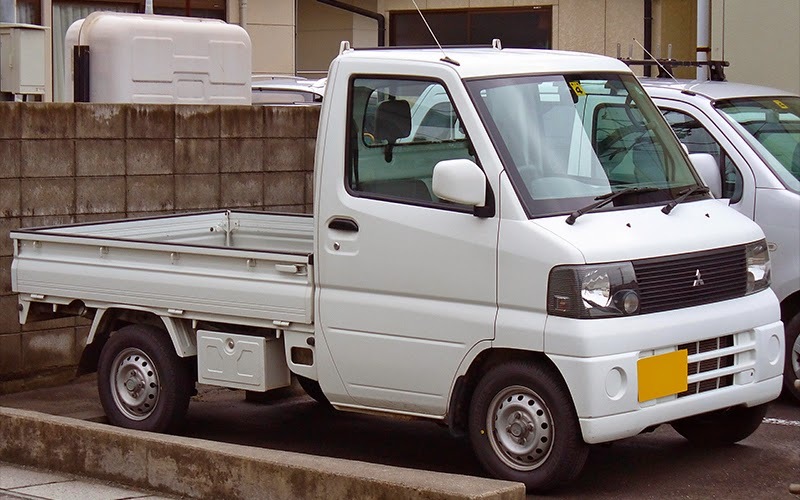 The Mitsubishi Minicab is a kei truck and microvan built and sold in Japan by Mitsubishi Motors since 1966. In Japan, it was sold at a specific retail chain called Galant Shop. An all-electric model, the Minicab MiEV, is sold in the Japanese market since December 2011. It was also sold by China Motor Corporation (CMC) in Taiwan as the CMC Varica, starting in 1985. The Minicab cab-over pickup truck was launched in 1966 to replace the 360 trucklet, which by this time had adopted the same model name as the Minica sedan. Codenamed LT30 it shared the sedan's air cooled two-stroke 359 cc ME24 engine, and was available with cargo gates on three sides to simplify loading and unloading. A van version was introduced in 1968, available in four different equipment levels. The T30 truck was replaced in 1971 by the new Minicab EL, but the van was kept in production (now also called the "Minicab EL") and updated with a dummy grille and headlight surround. The air-cooled T30V with its 26 PS (19 kW) engine was kept in production until 1976, with no further modifications except a 1974 adjustment to fit larger license plates. In 1971 the Minicab underwent its first model change, with the Minicab EL offering a new interior and a longer cargo bed. Called the T130 it was only available in truck form, with the old LT30 van soldiering on until the third generation was introduced in 1976. Ride quality was improved with the adoption of a front wishbone and rear leaf spring suspension. The EL received all new bodywork with tiny rectangular headlamps. A panel van was added to the Minicab truck lineup in 1972, when it also became the Minicab W with the new watercooled 2G10 engine (hence the W). This model carries the T131 chassis code and is easily identified by its reworked front end, reverting to round headlights. It also carries a prominent "W" on the front, beneath the left headlight. The grille was altered and the headlights made larger yet in 1973, with the "W" replaced by a "Minicab" script. For 1975 the Minicab received an emissions cleaned engine using Mitsubishi MCA technology, still with 28 PS (21 kW). In April 1976, the third generation Minicab was introduced. In keeping with the changes in vehicle tax regulations, the Minicab 5 featured an increase in length, and adopted the enlarged 471 cc Vulcan S engine from the car line, still with the same max power as the 360. 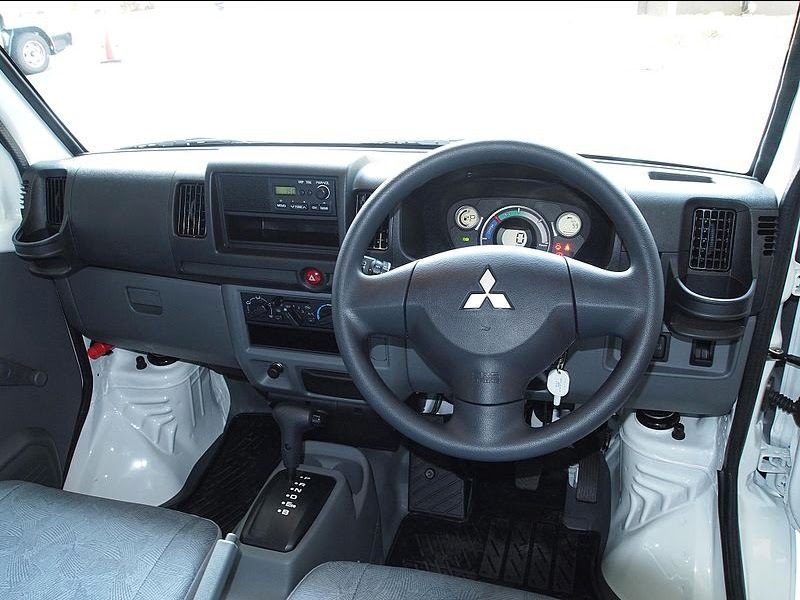 It also incorporated new features like a windscreen defroster, a central console box and a central ventilation system. This engine did not take full advantage of the new regulations, which allowed up to 550 cc, and was only used in a short-lived group of interim models. It was modified again in April 1977, when it was widened and received a full 546 cc engine and the new name "Minicab Wide 55". Power was increased marginally to 29 PS (21 kW). 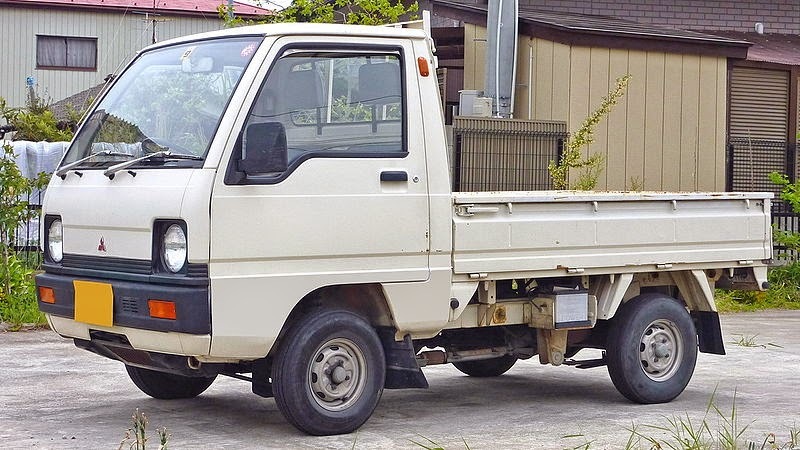 It continued until 1979, when Mitsubishi dropped "Wide 55" from the Minicab name as the market was now considered to be aware of the increase in body size and engine capacity. Power also increased by two horsepower at this time. For some export markets, such as Chile, this version was known as Mitsubishi L100. This model was replaced in 1982. 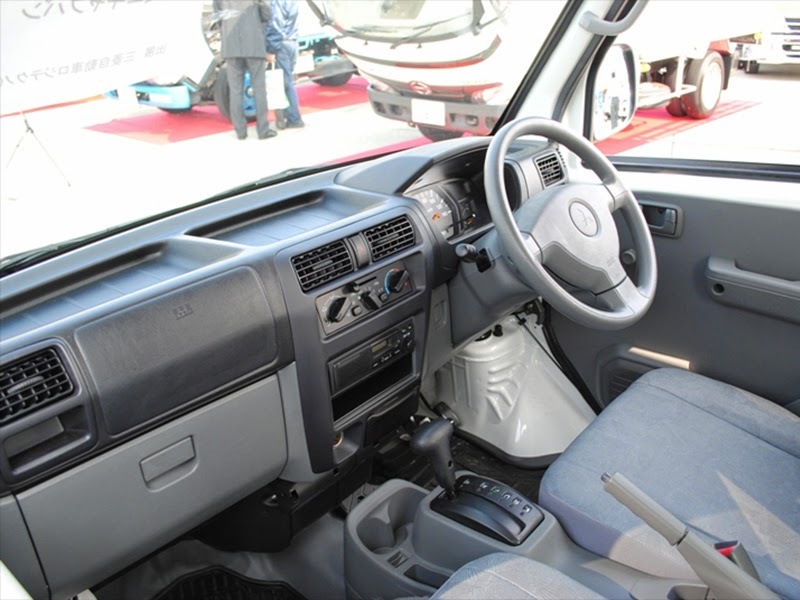 In China the third generation was built and sold as both the Shenwei SYW 1010 and as the Liuzhou Wuling LZ 110. The LZ 110 was available as a van or as a truck, and had Mitsubishi's larger 800 cc engine as fitted to certain other Mitsubishi export versions. Further model range updates have been in parallel with the Minica, starting with the fourth generation's introduction in 1982. Although improvements were made to enhance the Minicab's commercial applications, the most noticeable changes were made to support personal leisure activities. Angular headlamps played an important role in the Minicab's styling, along with larger windows to improve visibility. A rear window wiper, electronic locking rear gate and power brakes were adopted, and in 1983 the Flat-floor Van model adopted a double-walled construction to offer a flat, open cargo area. 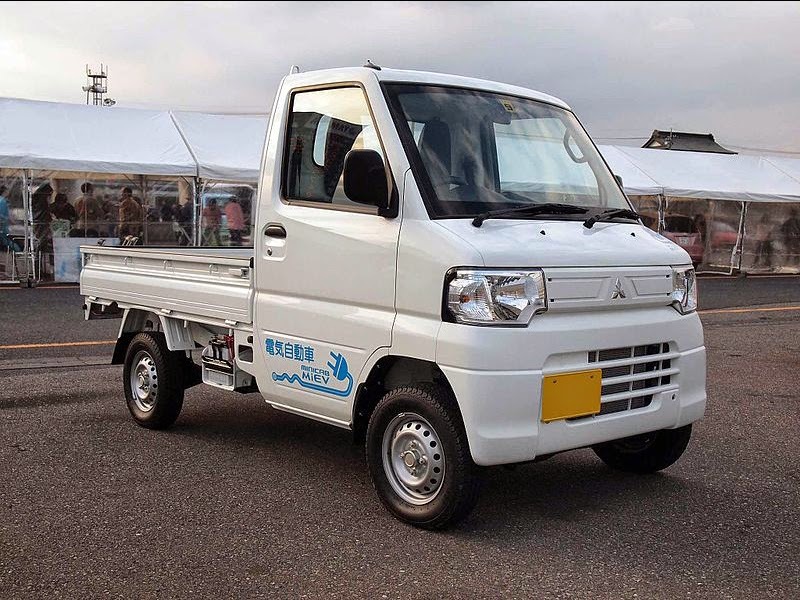 Mitsubishi offered fifteen front- and four-wheel drive van model variations and ten truck variations. The fourth generation Minicab incorporated many class-leading features such as an automatic free-wheel hub adopted on all four-wheel drive models, while two-wheel drive models had a turning radius of 3.7 metres (12.1 ft). The estate models featured the first sliding sunroof in their class. 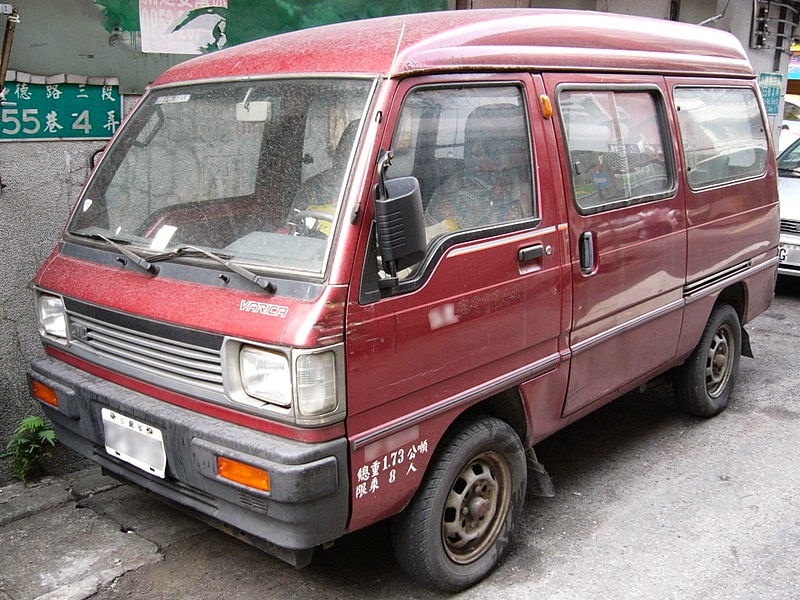 In 1987, the Minicab became the first manufacturer to offer a supercharged kei car. In China the fourth generation Minicab was built and sold as the Wuling LZW 1010 for the commercial variants and the Wuling LZW 6330 for the passenger variant. 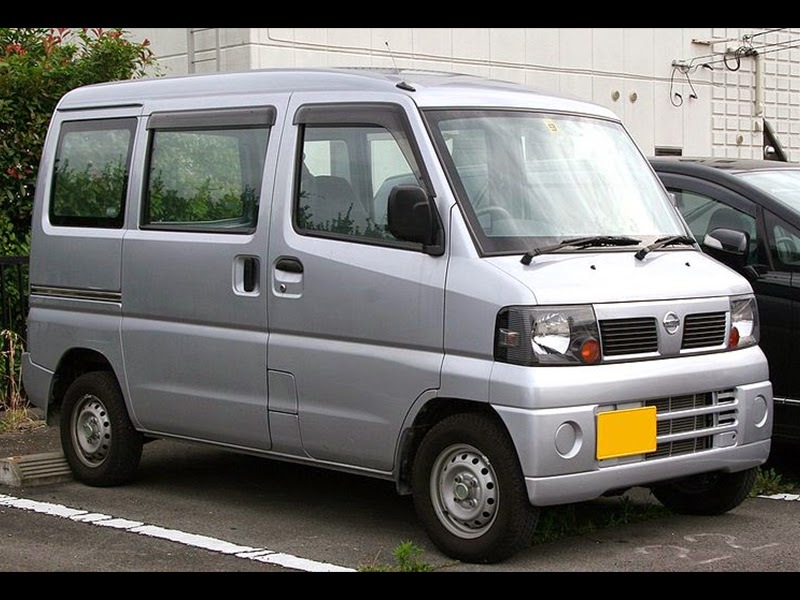 A larger and completely redesigned Minicab was released in 1991 to take advantage of tax regulations allowing for increased dimensions and engine capacity of kei cars. Three new 660cc engines were introduced: a 4-valve SOHC unit, a 5-valve DOHC unit and a 2-valve SOHC unit. Across the range, there was a total of 66 possible model variations. This included a new variant, the retro-styled Bravo Route 66, however, one previous variant, the high-roof truck, was discontinued. The sixth generation Minicab was introduced in 1999 now sporting a new semi-front design. By April 1999, a "wagon" version called the Town Box was introduced. Mitsubishi began testing of the Minicab MiEV in Japan in October 2010. 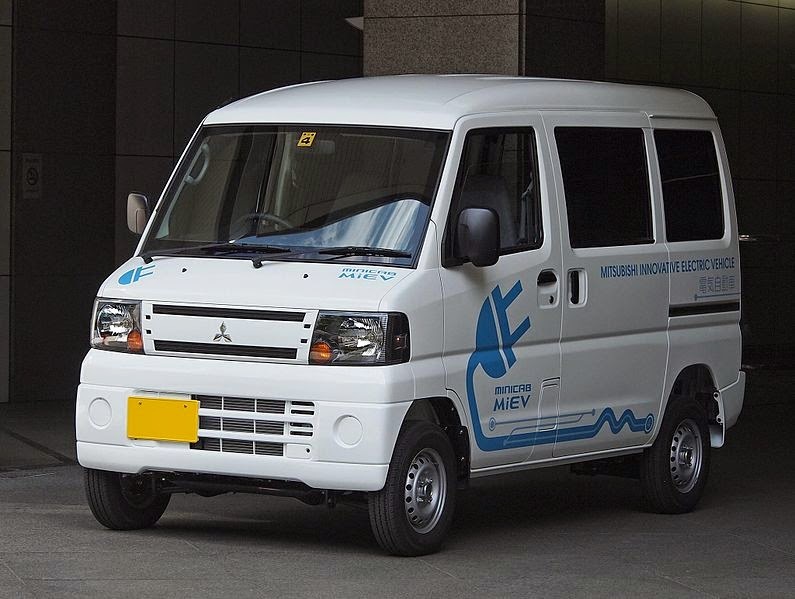 In January 2011, Mitsubishi announced that it would add an electric version of Minicab, Minicab MiEV, for sale in Japan in the third quarter of 2011. Mitsubishi later announced a December 2011 launch. Mitsubishi picked up early orders for 100 units from major delivery company Yamato Transport in May of that year. The commercial use electric vehicle is estimated to have a range of 100 km (62 mi) with a full charge, which is lower than that of i-MiEV, in a bid to reduce costs. The price is aimed for less than ¥2,000,000 (about US$24,450) after subsidies. The Minicab MiEV was released in the domestic market in December 2011, and a total of 4,544 units have been sold in Japan through October 2013. A truck version of the Minicab MiEV was launched in January 2013, and sales totaled 536 units through October 2013. 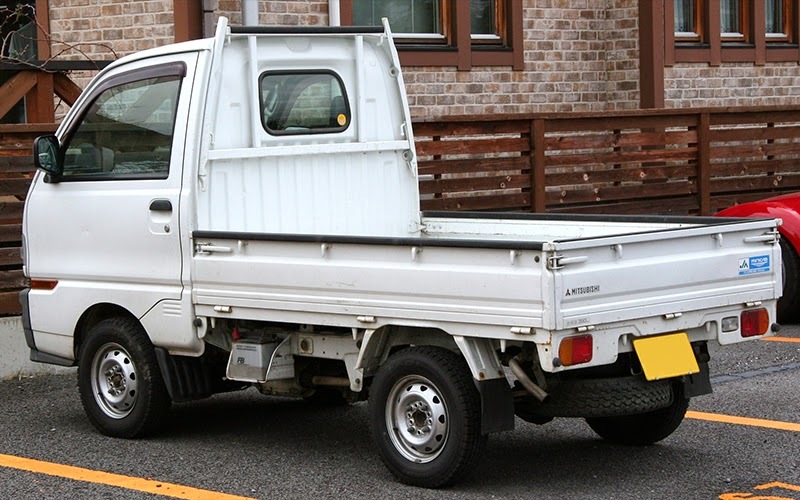 Mitsubishi also manufactures a badge-engineered version of the Minicab pickup on behalf of Nissan, which sells it as the Nissan Clipper (a badge originally used on a larger range of Prince and Nissan trucks). 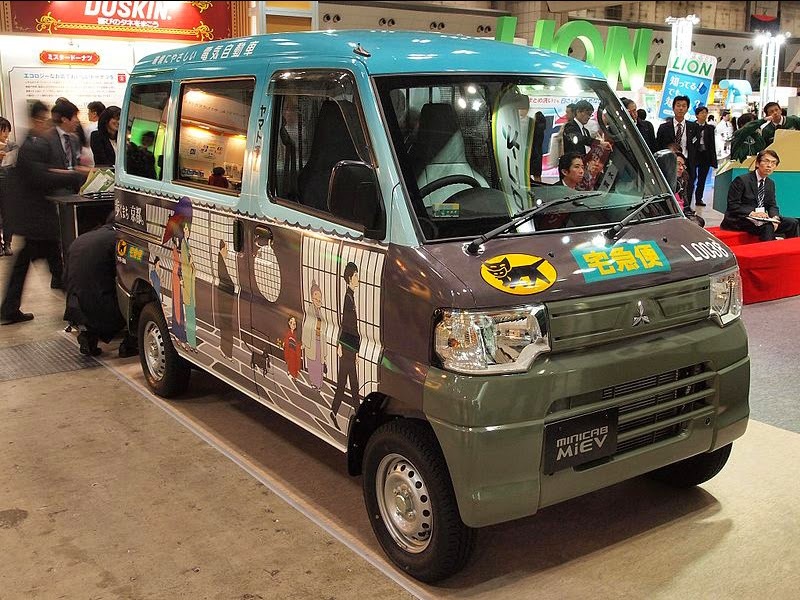 The Minicab/Clipper competes in Japan with the Honda Acty, Subaru Sambar, Daihatsu Hijet, and the Suzuki Carry. 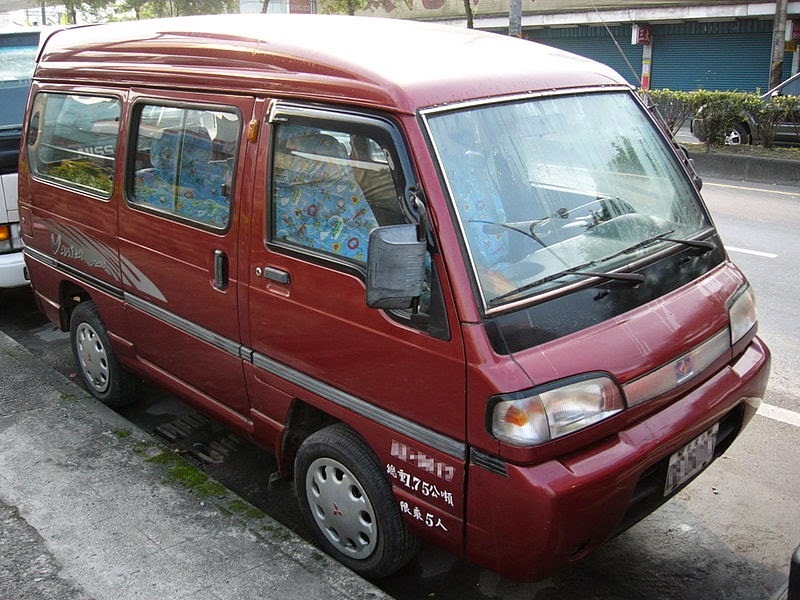 In Taiwan, as in mainland China, long wheelbase iterations of the fourth generation Minicab were also available with a variety of bodywork. 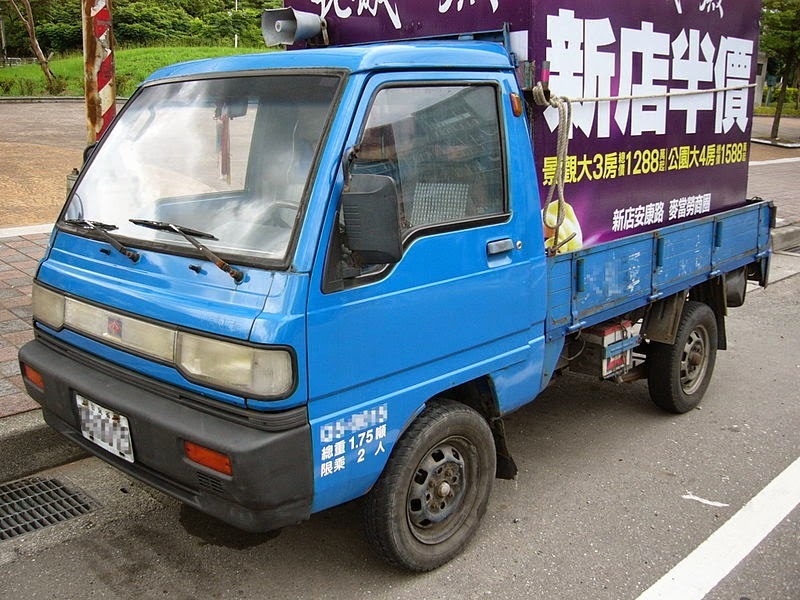 The Taiwanese version (built by CMC, China Motor Corporation) was called the CMC Varica (中華威利) and was available with a 1,061 cc 4G82 engine with 58 PS (43 kW). Overall length was up to 3,645 mm (143.5 in), with a wheelbase lengthened to 1,475 mm (58.1 in) right in front of the rear axle. Top speed was 115 km/h (71 mph). The Varica's nose was also extended somewhat. Later a 1.2-litre version replaced the smaller 1100, and the car underwent a facelift which included a longer more rounded nose. From November 2004 India's Premier has been building a diesel powered version of the Varica. Its body panels are shipped from Taiwan, and a Hindustan-built 2-liter Isuzu diesel unit is fitted. It has 58 hp (43 kW) and is mated to a four-speed manual gearbox, while the car offers from five to nine seats. A multitude of other versions have since been developed, and as of 2009 the engine has been replaced by a 1.5 liter IDI diesel (with or without turbo) or by the CNG-powered 1.8-liter 4ZB1 (both still manufactured by Hindustan). The Sigma was discontinued around 2012, but the pickup version (called the Premier Roadstar) remains available as of 2013. Last updated on 3 March 2014 at 21:44. Interesting blogpost. Might you link me to some more of your articles? The demand of Mitsubishi Minicab has increased a lot of since the date of its release and that has also increased the demand of Mitsubishi minicab parts. Fortunately one can easily avail these parts from any online or physical stores. The genuine Mitsubishi minicab parts dealers are available throughout the country however these days these parts can be availed online with the trusted dealers to avoid any sort of hassles of going to physical stores. The genuine Mitsubishi minicab parts dealers are available throughout the country however these days these parts can be availed online with the trusted dealers to avoid any sort of hassles of going to physical stores. Click Here More Information !